This here is a kind of number tree and I haven’t seen or used it before Ms. Burton showed the class and it’s basically to keep track of the order certain numbers go. 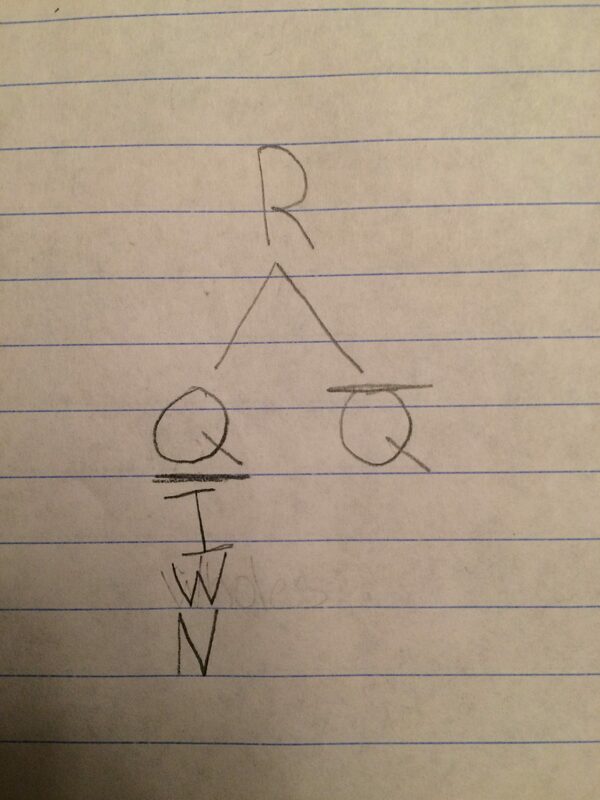 The “R” stands for real numbers and basically all numbers go under that category besides complex numbers. 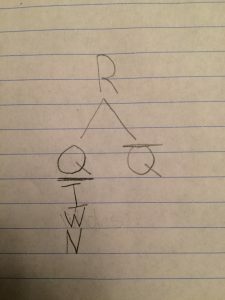 The “Q” with a line on top of it stands for irrational numbers and the “Q” with a line below it stands for rational numbers. The “I” below stands for integers, The “W” stands for whole numbers, and the “N” stands for natural numbers. 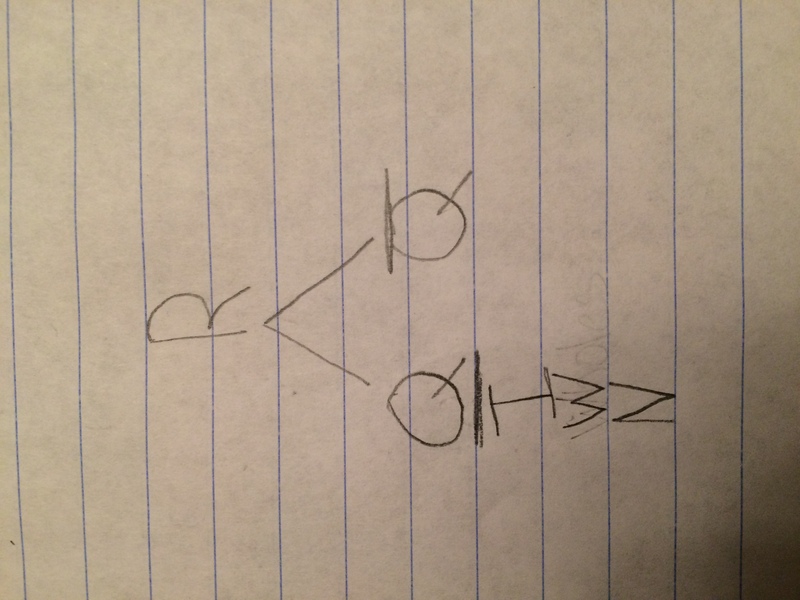 To explain this “number tree” better take the number 123 983 for example it fits into R,Q (with a line below it), I, W, and N.